James A. Owen is the author of The Chronicles of the Imaginarium Geographica series and is the executive director of Coppervale Studios. He has also produced some comics including Starchild and Mythworld (Mythenwelt). My producers had some (obvious) connections to Scholastic and Bloomsbury, and started shopping it around, and then another member of my management team in Hollywood took over and made some serious phone calls – and the editor who liked it the best was the Senior VP and Editorial Director at Simon & Schuster Books For Young Readers, David Gale. And after I send the first three chapters, they made a pre-emptive bid. And all it took was twenty years of effort and a few seasons of utter panic. Do you currently have an end in mind? How long is the series going to be? Do you keep comprehensive notes keeping track of all your allusions and timelines? Yes. I know where (and when) the story is going to end. The series is projected to run at least seven books, with a few spinoff titles possible, and perhaps even a sequel series – although there is still room within the Imaginarium Geographica construct to tell other stories for a long time to come. I have an outline for all of the storylines, and keep all of the notes in a stack so that I can keep all of the timelines, characters, and historical/mythological/literary allusions/references in some sort of organized chaos. I wouldn’t say they’re comprehensive so much as they’re specific – I know how I need certain elements to interact to keep the story progressing, and that’s the most important thing. I start everything the same way: with a single sheet on a yellow legal pad. That’s usually my entire first draft. I name the sections and chapters, and make notations about the major story events that need to occur at certain points (with more notations in the margins as things occur to me). Then I’ll thumbnail the chapter illustrations, which in turn feed more ideas into the outline. When this process is more or less complete, I can start the actual manuscript, and go through it in one draft. I couldn't find it in the credits but did you do all the illustrations in The Chronicles of the Imaginarium Geographica? If so, how do you decide what illustrations to include in the book? Yes, I did – the covers, too. I usually have key scenes figured out during the outline process, and so I know going in what I want to draw. Only in a few rare instances have I had to change or toss out an illustration in the pencil stage. There is usually a pivotal moment that would encapsulate a chapter, or a character I want to showcase (like Nemo, for example), or at worse a nice scenic image that I can render well. How long does it take you to draw an illustration? Which do you find more challenging: writing the novel or coming up with its illustrations? I’m faster now than when I started, because I’m getting more used to the process. It takes twenty minutes to an hour for each of the thumbnail (3” x 4”) drawings, which one of my apprentices enlarges and traces onto the full-sized (10” x 15”) art board. It takes another hour or three to refine the drawing, then anywhere from one to three days to ink it, depending on the complexity. Both writing and drawing have their challenges – and it’s nice to be able to go between the two. What made you decide to foray into novel writing? How different is it from writing comics? Similarities? My friend Kai Meyer (who is a YA novelist here, and a VERY famous novelist in Europe) was a fan of the STARCHILD comics, and asked me if I’d thought about writing a prose novel. One of his publishers had approached him about doing a book series that he would conceive and edit, but which would be written by other authors (like TOM CLANCY’S NET FORCE, for example). Kai had come up with this idea for a seven book series called MYTHWORLD, and he asked if I wanted to do one of the books. I agreed, and I took Kai’s three page outline (for the series) and wrote a second book without anyone having written a first book. After the editors read it and my other notes, I was signed for all seven of the books, at which point it became more my project than Kai’s. So MYTHWORLD got me started, and was my training ground for doing the Imaginarium Geographica series. Who are some of your favorite authors or what are some of your favorite books? How about favorite comic books, comic book writers, and comic book artists? For authors, Ray Bradbury, Jonathan Carroll, Lloyd Alexander, and Madeline L’Engle are toppermost of the poppermost, for me. Roger Zelazny, Garth Nix, Michael Chabon, Terry Brooks, and Orson Scott Card aren’t far behind. My favorite books are THE D’AULAIRE’S BOOK OF GREEK MYTHS, by Ingri and Edgar D’Aulaire; MARKINGS, by Dag Hammarkjold: and SUPERMAN, LAST SON OF KRYPTON, by Elliot S! Maggin. My favorite comics writers are Alan Moore, Marv Wolfman, Geoff Johns, Neil Gaiman, Mike Baron, and Paul Levitz. My favorite comics artists are George Perez, Steve Lightle, John Totleben, Steve Rude, Frank Miller, Bill Sienkiewicz, Bernie Wrightson, Dave Gibbons, and Arthur Adams. Favorite Titles? Depends on the day. Right now I’m loving LEGION OF THREE WORLDS; GREEN LANTERN; NEXUS; RASL; and twenty-five year old copies of THE WARLORD. MIRACLEMAN and SWAMP THING always rate. ALL STAR SUPERMAN has been exceptional. What made you decide to start your Starchild series? I loved comics. I’ve always loved comics. And I grew up in a family of artists, so communicating visually was a natural thing for me. Doing comics was a way to tell stories with words AND pictures. I’d been dabbling with comics for years, having actually published an earlier version of STARCHILD called PRYDERI TERRA when I was in my teens, but the impetus for STARCHILD was actually two projects that didn’t work out: a Classics Illustrated version of SILAS MARNER; and a Superman proposal. Classics Illustrated (then an imprint of First Comics) was going under just as I’d finished about sixteen pages of the adaptation – and DC was receptive, but not really enthusiastic about the Superman proposal I called STAR CHILD (“Kal El” in Kryptonese), so I combined them. Silas Marner became Ezekiel Higgins, and those pages I’d done for First became the center of Starchild #1. I formed a new company and published it myself. How about your Mythworld series? Any insight into its popularity in Germany and if it's ever going to be translated into English? The popularity in Germany I attribute to one thing: the series title (in Germany) is Kai Meyer’s MYTHENWELT. But then again, that was the point – to use Kai’s name (and popularity) to get exposure for other lesser-known writers (all seven of whom ended up being just me). 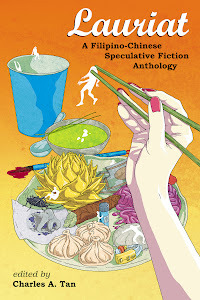 It hit the right spots – my excellent translators, Hannes and Sara, made sure the right readership saw it, and the first volume won some awards, so I got a few points for that. Four were published in hardcover and two in paperback before some difficulties with the initial publisher resulted in the series being put on hold – but it has since started appearing in French – and we’re hopeful we can soon announce a deal to publish the whole series in English. What's the logistics of Mythworld like? Did you originally write it in German or were there translators? It was originally going to be six German authors and then me, and then I ended up being signed for all seven books, which required that they all be translated (as I read very little German, write less, and speak none). So what started out as a great creative decision ended up increasing their translation costs by a factor of six. Fortunately, Kai speaks and writes excellent English, so he was a great editor to work with on the books. It’s easier with the Imaginarium Geographica books where S&S basically do all of that! When did you know you wanted to do comics? I can’t remember NOT wanting to do comics. The rooms where I work at my Studio are pretty much filled to bursting with them, and I can’t recall not loving them. There’s just something about the medium that is utterly compelling to me, thrilling to me – and that goes for CASPER as much as SUPERMAN or THE LEGION OF SUPER-HEROES or WATCHMEN. I love them all. I read that you crushed your hand in a car accident. That must have been a great ordeal for you, both as a writer and an artist. Was that the biggest hurdle you had to overcome in your career? It’s the artist’s nightmare made manifest. The worst was being written off as an artist by just about everyone on the planet – and not knowing if they were right or not. That year was a long, long stretch of hope and grief, and I think about it often, especially now, when people think that everything career-wise seems to just be falling into my lap. There are times I still wake up in a cold sweat, remembering the weeks after the accident. There are times my hand still aches. There was an immense amount of resistance from people who thought I was insane to try to restart my career after something like that – and that, honestly, was the worst. Feeling as if you are reaching for something – and not only are you all alone, but others are so certain you are wrong, that they’re actively trying to impede you from even trying. If I had not pushed through those physical, emotional, and spiritual limitations, I would not be doing the things I’m doing now. Through STARCHILD, I was found by Kai; by doing STARCHILD and MYTHWORLD, I got the experience I needed to write and illustrate HERE, THERE BE DRAGONS. What made you decide to involve yourself with Coppervale Studios? What exactly is your role in the company? I suppose the best description of my role at the Studio is Creative Director. Coppervale was primarily set up as a comics publishing company which moved laterally into magazines – with high-quality, award-winning, clumsily-distributed near-disastrous results – but we’ve since realized that we work best creating and packaging the work for other, larger companies to publish, produce, and distribute. What I do with the novels is not all that different than what I did with the comics and graphic novels. Take HERE, THERE BE DRAGONS: I co-designed the book; I illustrated it; I wrote it; I’m consulted on production; my apprentices designed parts of the logo in tandem with the genius art director at S&S. All that differs is that there is a huge organization behind it to promote, produce, distribute, and sell it. I still think there is a huge value to running an independent publishing company, and I greatly respect those who still do so. But I spent so much time, energy, money, and sheer effort in just trying to get the essentials done that if one thing fell out of place, it risked everything else. I still do work with small presses on occasion, but mostly as favors for or in collaboration with friends. There’s nothing I’m doing now with Simon & Schuster that I couldn’t have done solely as Coppervale – and I had considered publishing the novels myself – but the fact is, I’m best at creating the content, and doing the books with Simon & Schuster has made them a thousand times more successful than we’d have been able to do on our own. I have an interest in production, and distribution, and all of the other aspects – and that’s helpful to S&S. But the weight of all those functions is spread over many shoulders, and there are people whose job it is to oversee sales, and printing, and marketing, and etc., etc. They’re happiest when I’m writing and drawing. So the best way to sum up Coppervale Studios is as sort of a creative Think Tank. I have a General Manager, my brother Jeremy, who runs the Studio (and occasionally collaborates with me, as we did on the LOST TREASURES book for S&S), and apprentices who work with us on the various projects. We have a couple of full time apprentices, and some who are on-call, which means they are contracted for specific projects. But between us we have oil painters, airbrush artists, sculptors, animatronics engineers, and even a stonemason – so we’re able to tackle all sorts of things. In terms of work, we no longer freelance. For one thing, it tends to take the focus away from longer-term projects – but I have enough of these book and film projects going now that we’re best when everyone is focused on moving those forward. So in a way we’re a bit like George Lucas’s Skywalker Ranch, where all of the projects are basically George’s creations. We might be working on two books, a graphic novel, a storyboard, and a film set – but each of those projects is something I originated, so it keeps things simpler. What can we expect in the future from Coppervale Studios? 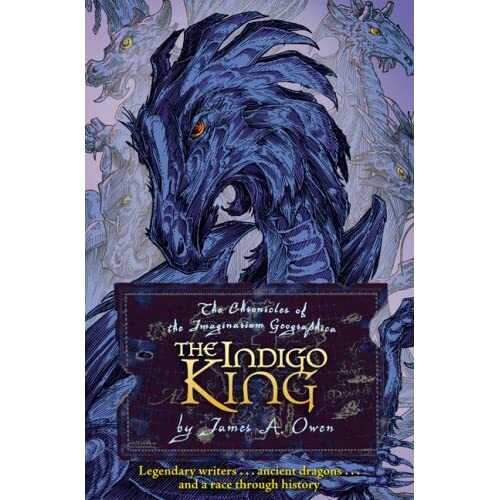 The next book in the Imaginarium Geographica series, THE INDIGO KING, came out last October 21, and I’m deep into the art and edits on Book Four. There are several more under contract, as well as a few graphic novel projects that we hope to be announcing soon. And don’t be too surprised if you hear something about MYTHWORLD shortly! We’re also going to be doing conceptual design work for the HERE, THERE BE DRAGONS film at Warners (now that the Writer’s Strike is over, and the other HARRY POTTER films have been scheduled), and there’s a TV project I can’t say much about yet. We also still publish the limited edition art prints based on my work, and have a couple of other projects on the back burners we’d like to do. Outside of that, we’re constantly working on renovations/restoration of the Studio itself, which is a century-old church, and a beautiful place to work. The ambitious description is that it’s Wonka’s Chocolate factory crossed with the Bud Plant Catalog and the Disney Studio circa 1940. We’re not even close to that yet, but it’s making progress all the time! How do you manage to find the time to juggle writing, illustrating, and managing Coppervale Studios? There’s not as much to manage, since the writing and drawing parts are the focus – but time can be found to do the things that are important. Keeping up with my deadlines (as closely as possible!) is important; spending time with my family is important; managing current obligations and planning for the future is important. What were some of the challenges you've faced, either as an author, as a comic writer/artist, and running the company? Something I tell just about everyone as my best, sagest advice, is to never, ever, give up what they want the most, for what they want the most at that moment. This is also what’s known as confusing urgency with importance. As an author, I’ve hit that same wall every author does – you just want someone, somewhere, to want your book. But I realized that I didn’t want to just get by with a deal on a wing and a prayer – it wasn’t enough to get a publisher who wanted to ‘take a risk’. I wanted one who would advocate for my work, become a passionate evangelist for it. And I passed up some opportunities in the process. But I think I made the right choice. In comics, it was just weathering the distribution consolidation of the late 90’s. We lost a lot of stores, and it was a struggle just to survive. I ended up working as a Creative Director at an animation studio earlier this decade just to see it through – and then got into doing the magazines Argosy and International Studio, which just about wiped out Coppervale. Distribution in magazines make the problems we had in comics look like a family squabble at the dinner table. And while I’m still proud of the work that I and my associates did on the editions we published, there were a lot of difficult lessons learned – which are in part my motivation for being a packager rather than a publisher. Then again, had it not been for the magazine crash, I would not have pursued the novels in the way that I did – and the success of the novels has been what’s allowed me to slowly pay down the debts that accumulated with the magazine projects. So, much like with the car accident during the start of my comics career, things seem to work out as long as you keep your head down and keep working on what’s most important. What is one project you'd like to do in the future that you're currently not pursuing now? Hm. That’s a hard one. I think it would have to be either illustrating a story for Ray Bradbury, or doing a DC graphic novel with Brad Meltzer. I’d be just as happy to do either one when the time is right. For The Chronicles of the Imaginarium Geographica series, you have a prequel comic and according to Wikipedia, film rights were bought by Warner. Aside from those, have you thought of taking the franchise into other mediums? The prequel, THE THIN MAN AND THE QUEEN OF STARS, is being serialized in the comic STARCHILD: MYTHOPOLIS II, from Desperado Publishing (which is packaged, natch, at Coppervale). There is a possibility that other things might develop, but that’s largely up to Warner and Mr. Heyman. With both MYTHWORLD and FOOL’S HOLLOW (the media name for the STARCHILD material in development) we may be doing something fun in both film and TV. I’d certainly like to, with the right creative partners – but it’s premature to announce anything! What advice do you have for aspiring comic book writers/artists? Draw every day. Write every day. Read every day. For artists, don’t settle for being better than the worst art you’ve seen; strive to be as good as you can possibly be at what you do best. Create what you love, and focus on that. Use every kind of tool, pen, pencil, brush at least a few times, to find what works best for you. You might be surprised. Write first, edit second, worry about selling it last. Too many people who ask me about writing haven’t written much because they can’t get out of their own way. Write something to completion – then you have something to fix, clean up, edit. If it’s good, THEN you can try to sell it. But finish what you start, first. Yeah. A GUIDE TO FOLKTALES IN FRAGILE DIALECTS, by Catherynne M. Valente, published by Norilana Books. Because I think Cat has one of the more original voices in fiction today, be it in prose or poetry, and I’d like a lot of people to have the chance to agree with me.